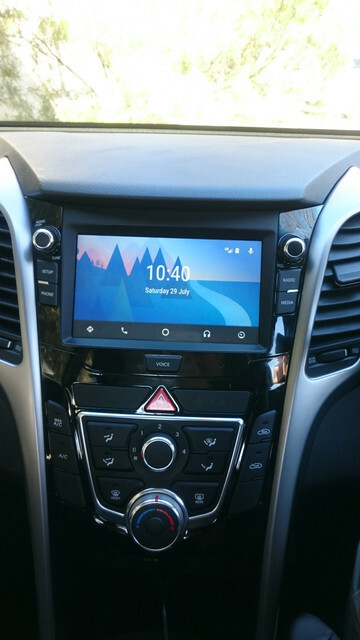 After noting the level of interest on the forum and via PM from people seeking information on how to upgrade their current head unit to the GD-03 (Android Auto/Apple Carplay compatible) I decided it would be a good opportunity to share my knowledge on how this is done via a step-by-step DIY guide. • Sound quality improvement for radio, Bluetooth and USB media as well having many more options on EQ if you’re into that. 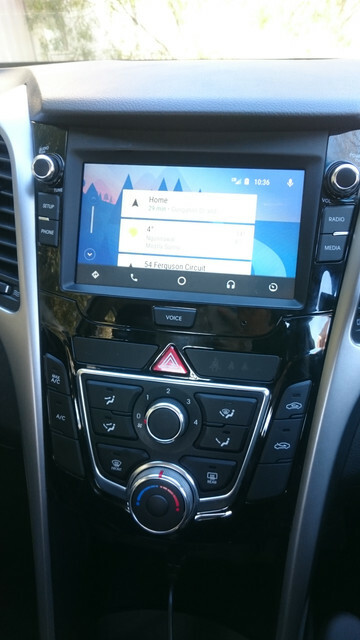 • Android Auto/Apple Carplay compatible – This was obviously the biggest deciding factor to upgrade and one of the best features about the unit. The installation wasn’t exactly plug and play however and it requires a few extra steps to get the unit working perfectly. 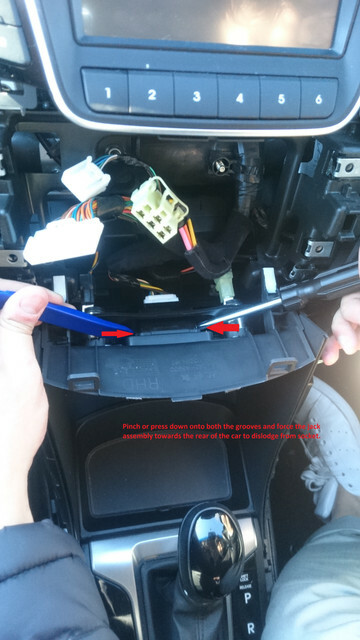 Please note that this guide covers how to upgrade your GD-01 head unit to a GD-03, although, having looked at the GD-02 pinouts vaguely I believe there shouldn’t be a problem with following my steps to achieve the same result. 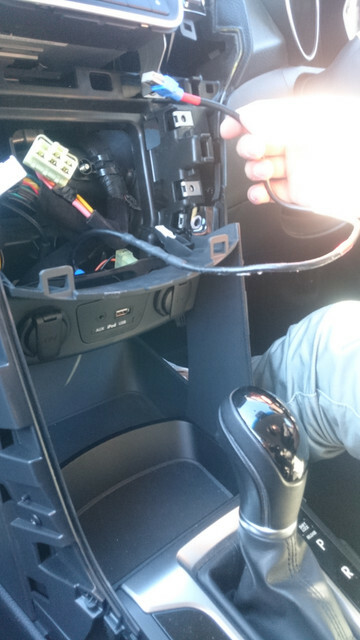 I sourced the head unit from a wrecker and I recommend getting one through this way as you will also then be able to grab yourself the AUX/USB jack assembly and USB lead which are vital components of the install. If you purchase the unit online ensure that it comes with the lead and the jack assembly. All up it cost me $215. It is imperative that you have these two items. 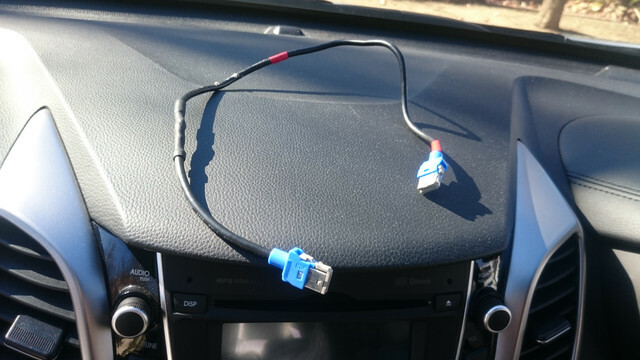 The AUX/USB jack assembly + USB lead will provide the data link that Android Auto/Apple Carplay needs from your phone to the head unit. 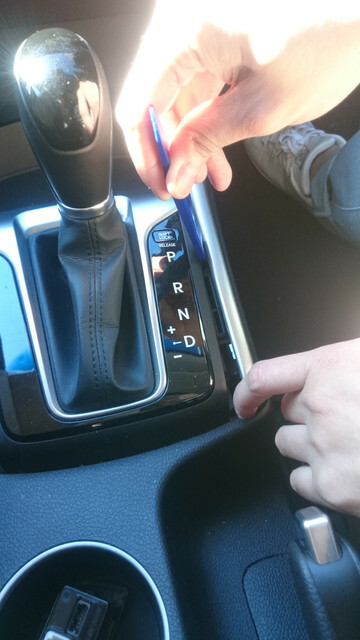 Without this you will have a functioning head unit but no AA/Carplay. 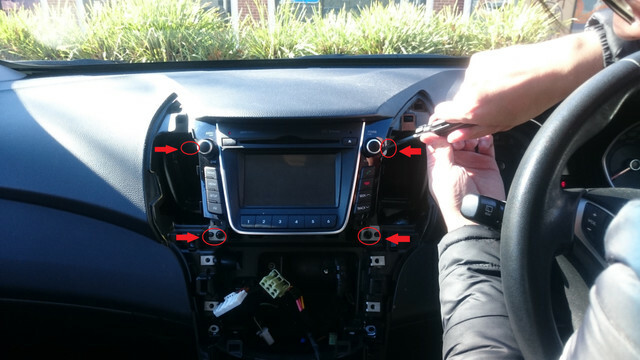 You will not be able to use the existing AUX/USB jack assembly in your car as Hyundai decided to change the ports for the GD-03 which I’ll explain later. You can purchase this online for under $10 or you can find them at a local automotive store. Starting at the bottom we will use the plastic trim remover to wedge it between panel and the gear box cover and then pulling the panel outwards then towards the rear of the car. Work your way up the panel until you have it removed completely. Don’t be afraid to use a bit of force. The panel is held together by clips inside. Repeat steps in 1A to remove the left side panel. Remove the screws holding the AC control panel in place, there are four in total as shown. 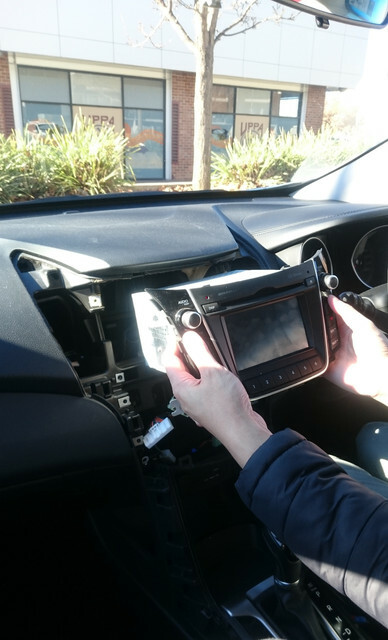 To remove the AC control panel you simply hold the top half of the unit and pull it towards the rear of the car, you will need to use a bit of force as it doesn't come off easily. After that unplug the connectors at the back and set the panel aside. 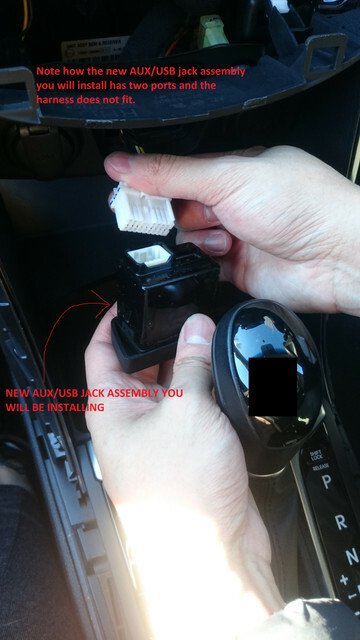 This must be done to access the AUX/USB jack assembly. This initial step is optional, but I found by doing this it helped provide more room for me to access the AUX/USB jack assembly. To the left you will see a white-coloured clip holding the compartment together. 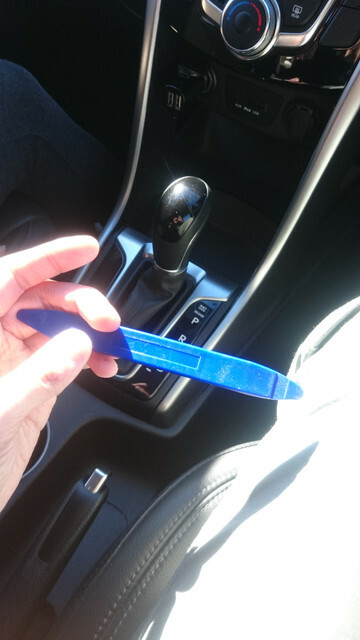 Using two fingers pinch this clip from the back and push it towards the rear of the car until it pops out onto the other side. You can pull the bottom plastic part where my left hand is positioned to assist with this procedure. Repeat the same steps on the right hand side. 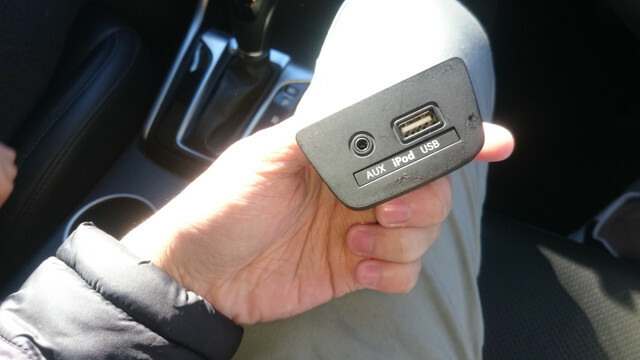 Now you have room to access the AUX/USB jack assembly. 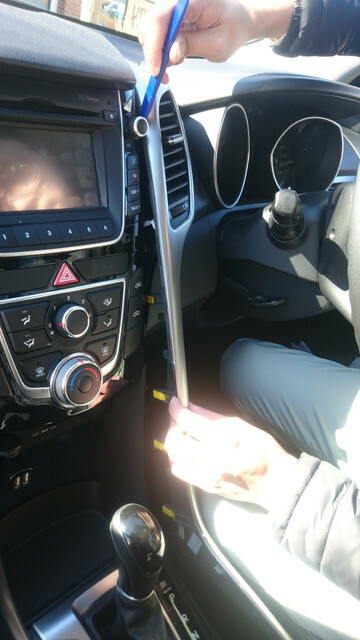 To dislodge the jack assembly you will need to press down hard on the groove on both sides of the piece as shown and then either push it towards the rear of the car or use something solid to knock it out. Unplug the connector from the jack assembly. 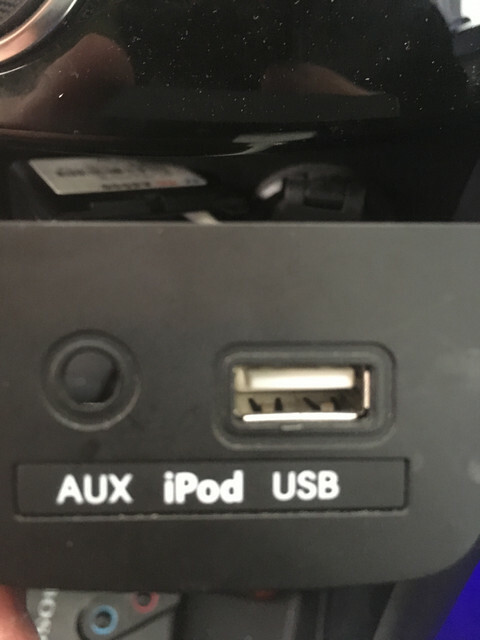 You will note how the existing AUX/USB jack assembly has only one large port that essentially powers both the USB and AUX. The new AUX/USB jack assembly you will be installing is different in that it has been split into two ports; one for AUX and one for USB. 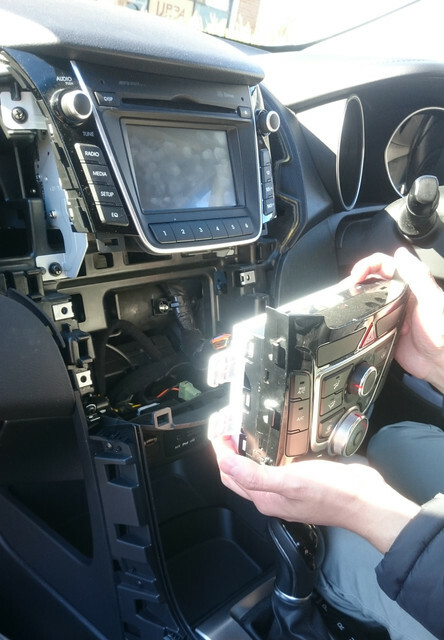 The GD-03 head unit rear ports also differentiate itself from the GD-01 and GD-02 by separating the USB functionality from the A/B and creating its own port. This is why it is important you source the new jack assembly for this to work. 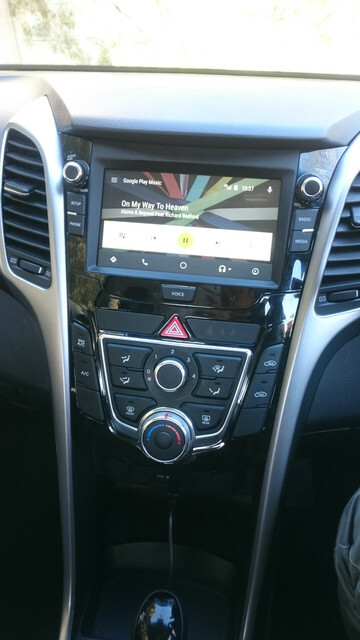 Getting the AUX to work will require some extra work (possibly an adapter) but since I don’t plan on using the AUX I’ve decided to leave it alone and only focus on the USB for Android Auto/Apple Carplay and USB media. 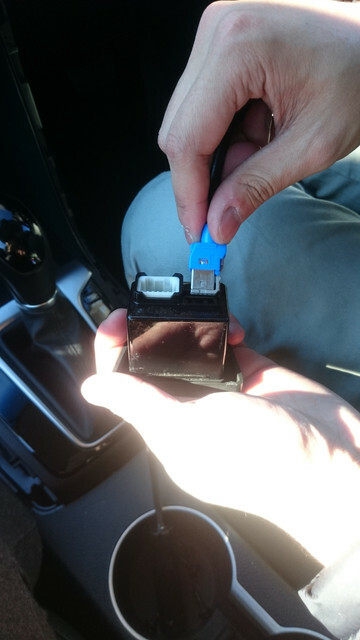 Simply take your new AUX/USB jack assembly and fit it into the slot that is now vacant. Plug USB lead into the rear and then loop up ready to connect it to the head unit later. Re-position the two white-coloured clips back to its original place. 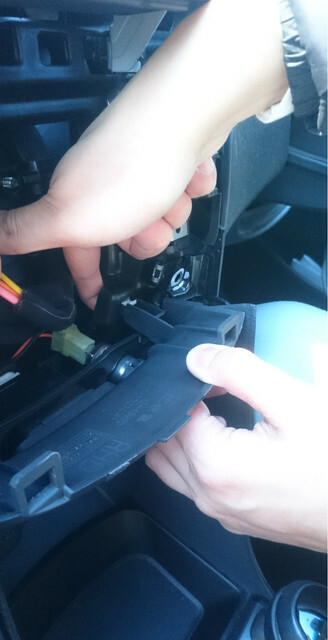 Remove the screws holding the existing head unit to the console. There are four screws in total as shown. 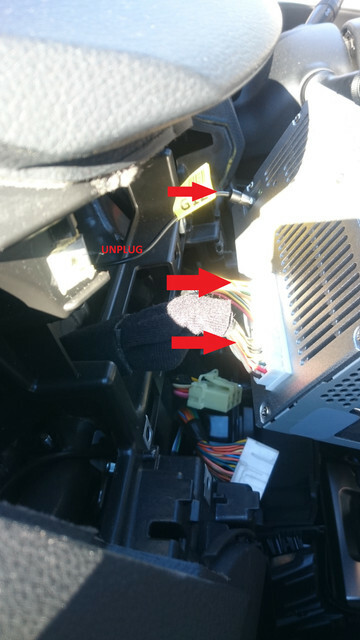 Slide it out and then unplug the radio cord and the A/B connectors as shown (remove everything that is plugged into the head unit). 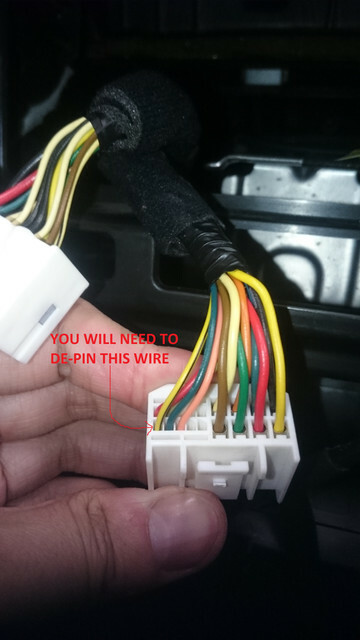 This step is essential if you own a GD-01 head unit WITHOUT reverse cam, although, I believe all GD-01’s do not have reverse cam anyway so either way if you own a GD-01 you will have to de-pin the A9 wire from the central harness terminal to have the head unit working correctly. 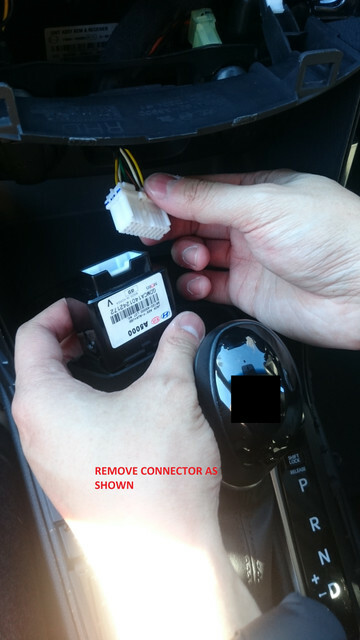 Someone can confirm this but users who own a GD-02 WITH reverse cam I believe this step is not required at all and it is simply a matter of plug and play. Users who own a GD-02 WITHOUT reverse cam this step may/may not be required. 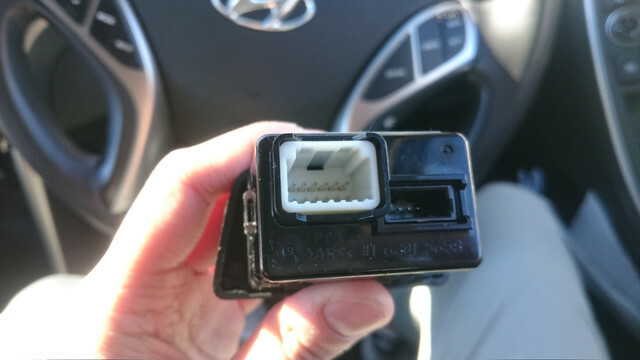 If you are one of these users it might be best to first plug all the connectors in and test the head unit to see if it’s working. If you are having the same issue as I did re: the head lights then do this step. 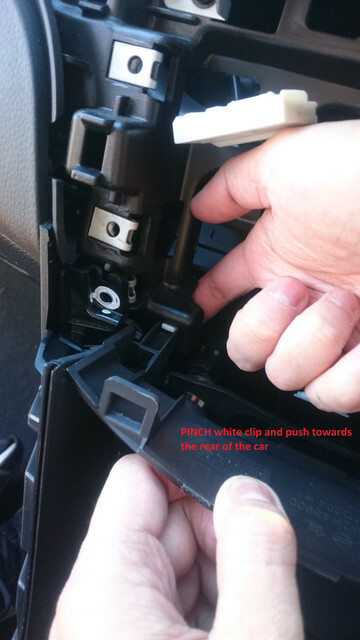 The issue I encountered when I originally installed the head unit was that when any of the car head lights (parking lights, head lights, high beams etc…) were in the OFF position the display would switch to the reverse cam (even though I don’t have reverse cam) screen and you would not be able to navigate out. Putting the car into P, D, or N also did not make any difference. 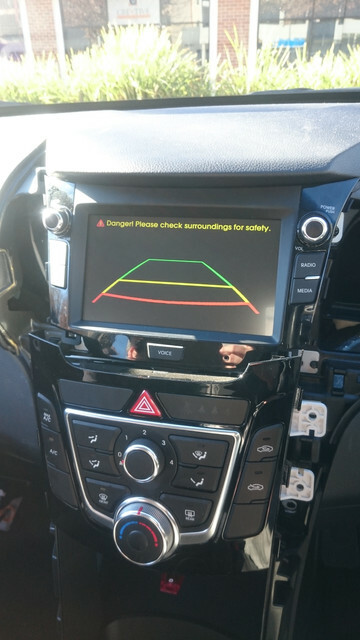 However, when the head lights were in the ON position the reverse cam screen would no longer show and I could use the head unit freely with no problems. 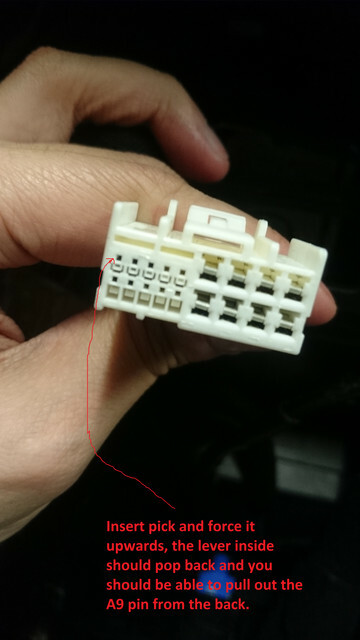 After comparing the pinouts for the GD-01 and GD-03 it was evident that the A9 wiring (reverse cam) for the GD-01 was not in use (N/C not connected) However it was somehow still feeding voltage into this. 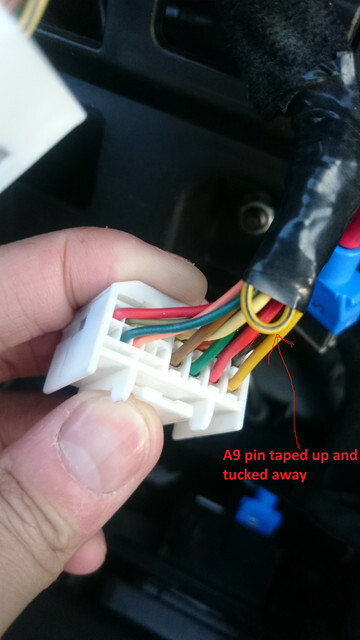 The solution was to de-pin the reverse cam (A9) wire from the terminal. Before you do this you need to first make the decision on whether you are confident enough to perform this yourself after reading the steps. 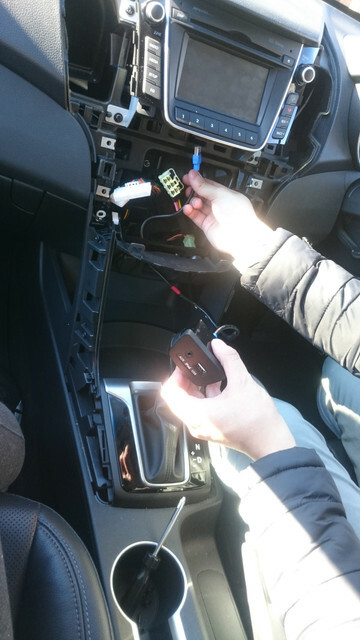 If you are not confident your next option could be to get into contact with a local technician specializing in car/audio installations and ask them to do this for you at a minimal fee, it is a 5 min job for them if you remove the head unit yourself. Your other option is to cut this wire if you don’t think you’ll ever be installing a reverse cam. Disclaimer: Please do step 6 at your own risk and I am not responsible for any damages that may result from this. 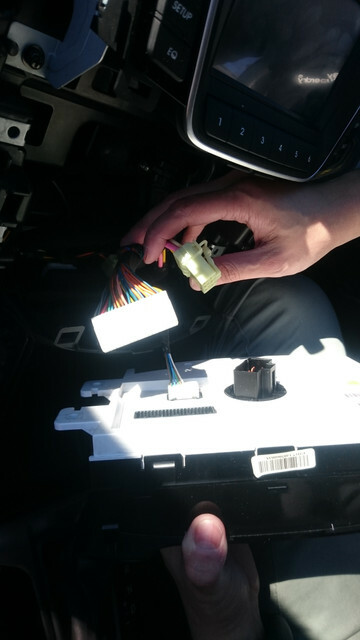 Once you have de-pinned the wire it is time to re-plug the connectors into the GD-03 head unit. 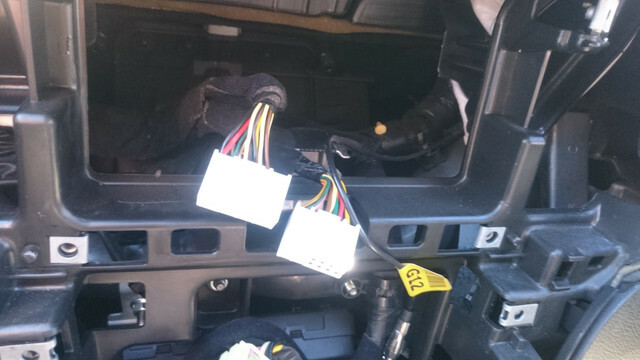 Plug the radio lead, A/B connectors and the USB lead into the rear of the head unit. 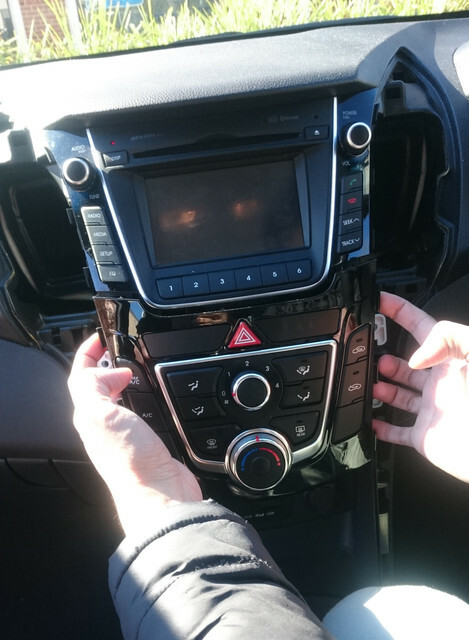 You will also now be able to test the head unit. 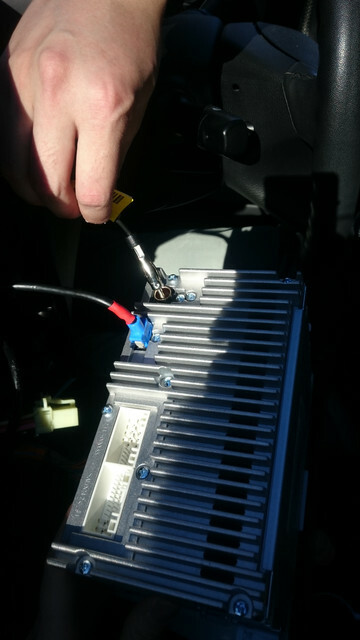 Switch on the head unit and test that it is powering on and functioning correctly. STEP 8 – Put everything back into place! 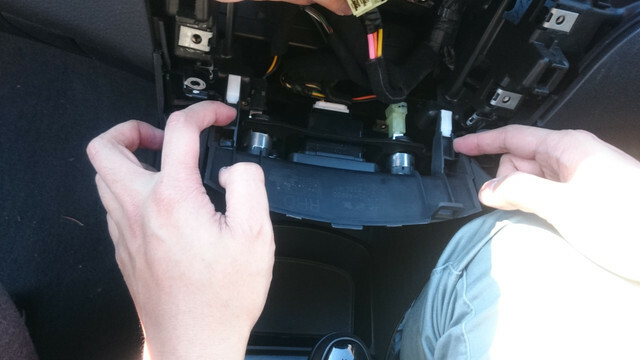 First start with slotting your GD-03 head unit into place and screw back in the nuts that you took out (x4 nuts). Next do the same with the AC control panel and screw it back into place (x4 nuts). Then re-insert the air vent panels back in. 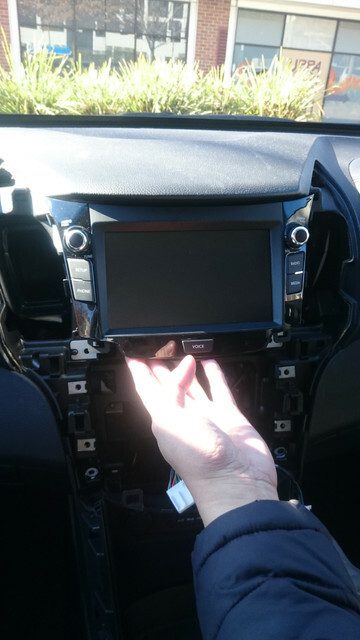 STEP 10 – Installation complete, enjoy your new head unit! Yes thank you very much! Jeepers, neaarly more work in creating that post that doing the job! Brilliant contribution, well done!!! Just a shoutout to VTH. Thankyou so very much for your in depth guide into how to install a GD-03 unit. Worked so well straight away. This is an awesome guide, can't wait to do it. Just a quick one - I read somewhere this might not work with GD premium models with Navigation already installed? Is this correct? 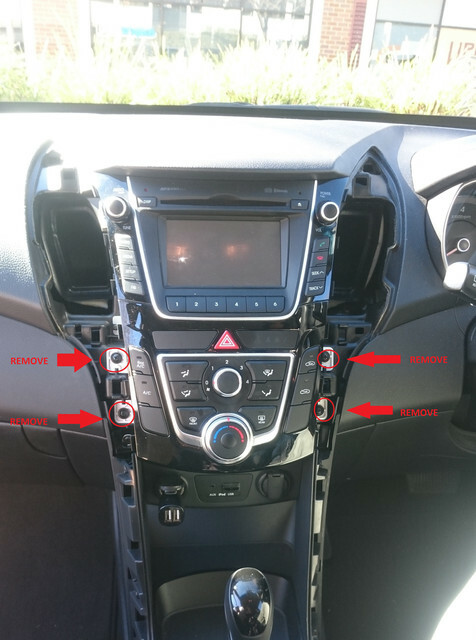 I guess it should be possible though you would likely require a GD03 head unit with satnav (if there is one ) as the unit fascia's are a different fit between the non and included satnav version, someone with more knowledge in this area will hopefully add their thoughts. Also wanting to get AA in my 2012 Premy, how do you ID a GD-03? Trade it on a new PD premium Diesel with DCT. AA and better economy I suspect. Thanks for the quick response mate. 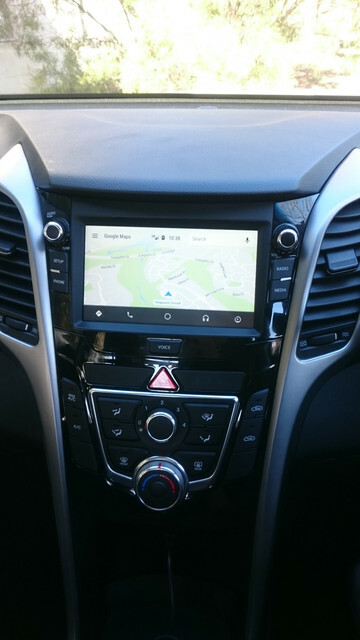 I don't believe the GD03 came with Sat Nav as it would just use the maps on your phone (I remember reading this somewhere but it may not be correct). Here's a pic of mine which looks like it might work (hopefully). If you look at the lower section of your unit fascia it is a different shape to the non Satnav models. Ahh I see what you mean. Thanks for pointing that out. I'll do some research to see if there's a fascia that could make it work. 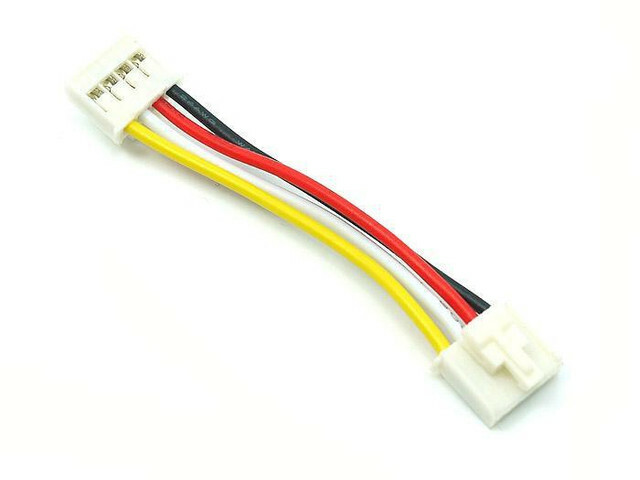 Can you just buy one of these headunits from eBay and it will work or is there some sort of radio code or pin that needs to be input? I notice that some sellers are mentioning there are no radio codes and the unit may need a Hyundai dealer to unlock. 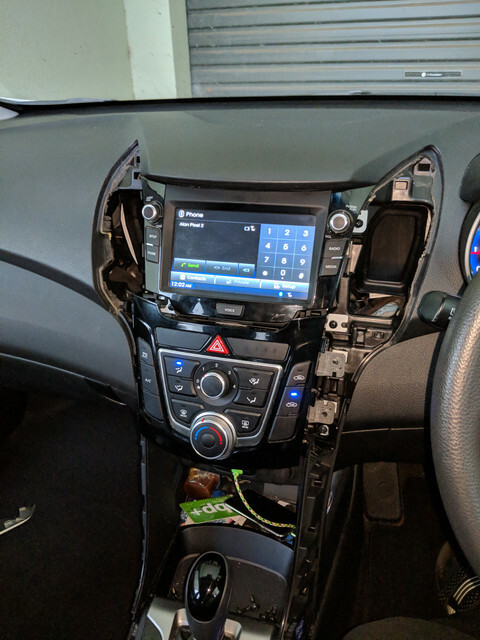 If I can't obtain a head unit from a wreckers, can they be purchased from Hyundai? Or anywhere else? Again, thanks so much for this. It's good that you would even consider trying it yourself. By all means ask your local dealer, but from our experience things like replacement Audios are way overpriced from most car companies. That is why we recommend buying a secondhand one on line or from a wreckers. Usually an aftermarket one from a reputable brand like say Kenwood, Pioneer or similar would be better and cheaper than a factory one from the dealer. But, they may prove me wrong. Yeah, I'm pretty sure the motto of all car dealers is "Gouge, gouge, gouge", so I'll try the wreckers first and see what I can find. About to join the GD-02 to GD-03 club. 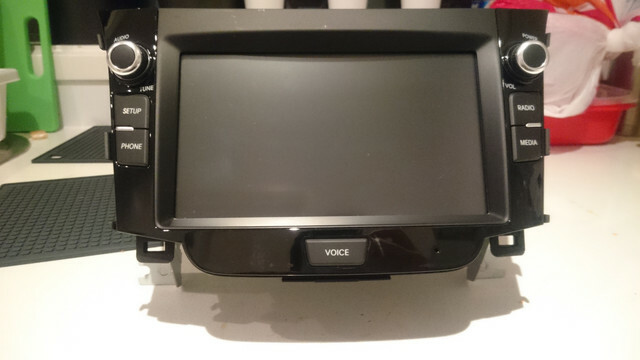 Ordered a unit from Stanvac Korean Auto Wreckers in Adelaide stanvac.com.au for $350.00 for the lot (Headunit and USB/AUX Connections). Arrives tomorrow at the office (as I am having it couriered). I will update you with how I go with it. Cheers, hope all goes well.. Here is the unit installed without everything put back. I decided I needed to test the unit prior to putting everything back together. Works like a dream (with exception to the AUX port, as this is not connected). 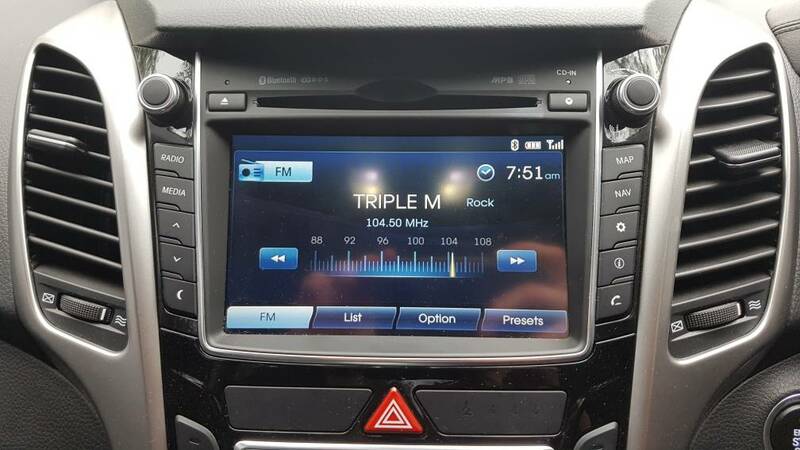 Has anyone worked out how to get the AUX connected? 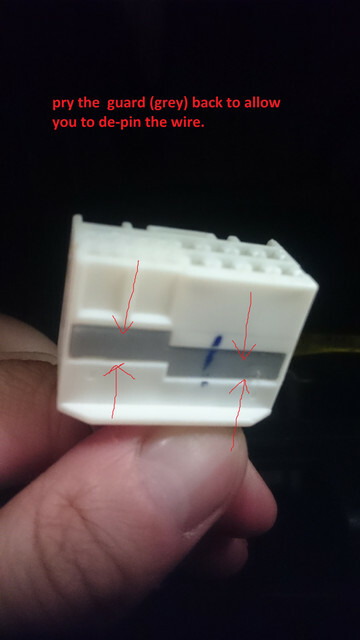 Is there a harness you can connect to the old connecter that connects to the new one? Mine's not that model so I don't know of adaptor harnesses but if I had to do that, I'd build my own adaptor by investigating pin-to-pin continuity. A multimeter, a length of old computer ribbon cable and a soldering iron would do it. Great work on this diy! 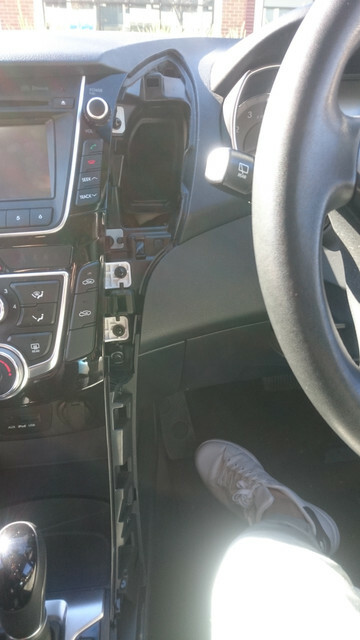 Does all the steering wheel controls still work fine? 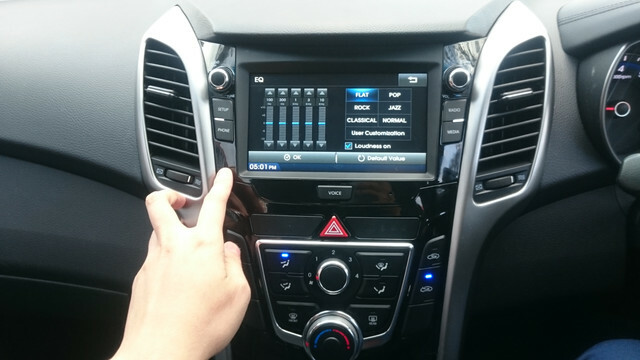 Does apple car play connect via USB? Really not fussed with the aux, but was there anything that needs to be done/modded similar to the pin removal? 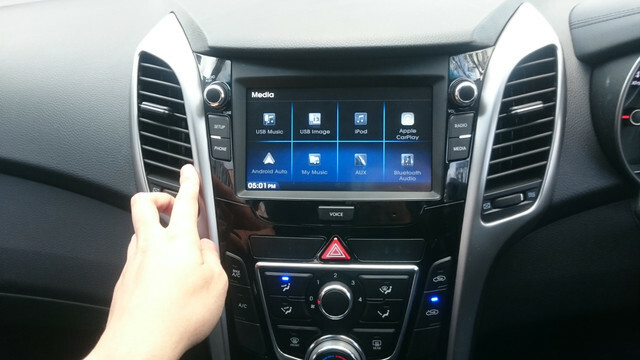 It all works as VTH has explained, steering controls work and Apple Play/Android Auto functions via the USB connection. 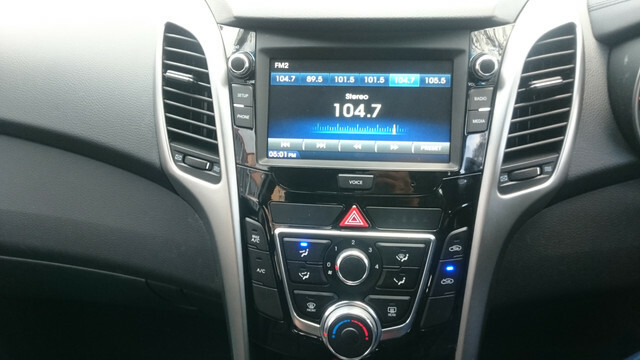 VTH i have to say you have done a great Job here, Im doing a similar thing with my Elantra GT (US Version) upgrading the 2013 with a canadian 2016 navigation I have only one obstacle i couldn't find the USB lead any Idea where can i get online ? or if what part number is it ? got stuck here i have the unit and the usb port but missing the wire . I did the upgrade from a GD-01 earlier this year and was able to get complete functionality without the USB port assembly and cable. Here are my results in case anyone is in a similar position. If you are feeling adventurous you can follow my directions and make your own cable. 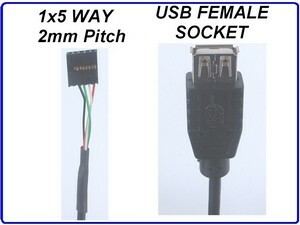 Start with a spare USB A female socket and a 4 or 5 pin 2mm pitch jumper header cable. I had some spare 5cm grove connectors which were perfect. Pin 5 is the shield - I only had a 4 pin header so I can confirm it will work if this isn't connected. 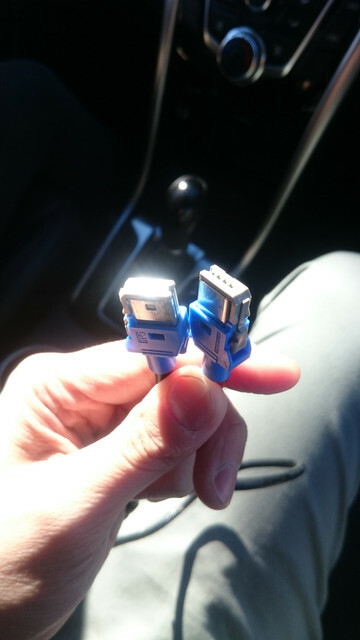 Cut the ends off both cables and join (I had to move the pins around in my grove connector so that the colours lined up better). 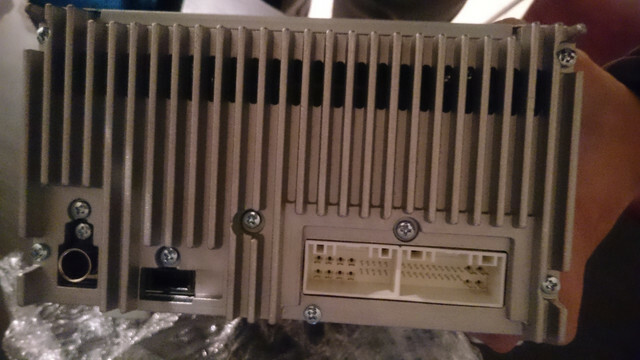 I don't have a GD-03 USB assembly but if you do you just need to plug the 5 pin cable in. 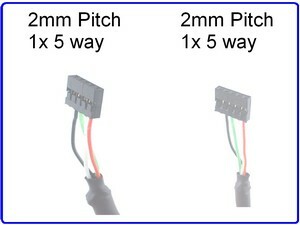 Looking at the keying on the cable it appears at pin 1 is closest to the centre (nearest the AUX connector), pin 5 is toward the edge. If you have an older USB assembly you will need to pull it apart. I originally tried to salvage it by hacking the existing cable and connectors but there were issues with the ground and which appears to be in common with the AUX cable so I simply removed the circuit board and hot glued the female socket in place. Easy and elegant. Put everything back in the housing once you are done. 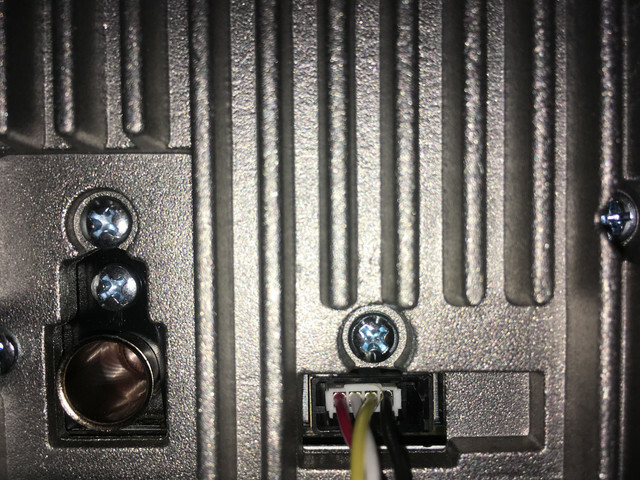 Once you've run your cable to the back of the GD-03 unit plug it in with pin 1 closest to the antenna socket. Plug everything else in and you'll be good to go. Welcome Sam. Great first post. Thanks for that! I just wanted to say that the part number tag was still attached to the USB lead I got, could come in handy for anyone who is looking. What a great bunch of members we have. 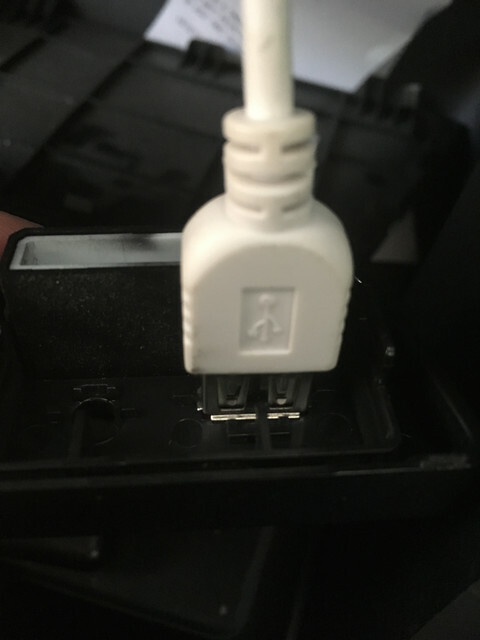 Thanks Whitey - found that part number sold at Hyundai/Kia NEW i30 CABLE ASSEMBLY-USB 96595A5000 - shipping available worldwide.